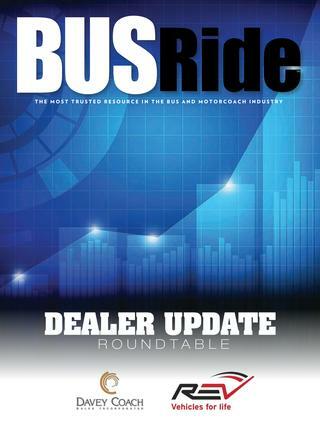 BUSRide spoke with representatives from some of the nation’s leading bus dealers to hear their thoughts on the current state of the small and midsize bus market, new technological developments and growth opportunities for operators running these vehicles. Please briefly describe your operation and the applications in which your customers specialize. Josh Davey: Our customers are in many different segments of business. We are a full-service dealership, with solutions for facet of the customer experience. From vehicle options to purchase financing, to delivery, parts & service, and graphics, we offer a wide range of options to serve our customer needs. Additionally, we accept trade-ins, which we are able to push back out into the secondary market as a certified pre-owned vehicle. Eugene Hotard: Alliance Bus Group is a full-service bus dealership with locations in seven states. We stock and sell a large selection of vans, small and midsized buses, heavy-duty transit buses and intercity coaches. We also offer specialized vehicles, like the convertible Sprinter with retractable roof and trolley buses. Our customer base includes many different types of customers with unique needs. Our main vertical markets are charter companies, transportation companies, tour companies and limousine companies; however, we also put a lot of effort and energy into other markets like senior care, parking, colleges and universities, hospitality and child care markets. David Schetky: Schetky Bus and Van Sales was founded in 1942 and is one of the original bus and van dealers in the United States. The company was created when there was a need for shipyard worker transportation during World War II. Jack Schetky, the founder, had experience building school buses, so when he was asked to manufacture buses for the shipyards he quickly got to work. When Jack’s son John returned home from WWII, he took over the company and expanded the business. Schetky is now a fourth-generation family owned business, whose customer base ranges from transit agencies, to school districts, to large national corporations. After all these years, Schetky continues to grow as one of the nation’s largest bus and van dealers and prides itself as being a service and support business first. This coincides with how the company was founded, in that our job is to not only provide the best products, but also an unmatched level of after-the-sale support to ensure our customers are best served during the life of their vehicle. We meet these objectives because we understand that that our customers’ success depends upon it, and we always work our hardest to build long-lasting relationships with every transit agency and fleet operator. If you had to give a “State of the Small & Midsize Bus Market” address to the industry, what would you say? Hotard: Our industry is very stable, as the industry produces between 14,000 and 15,000 units a year, with about a 50 percent split between the public and private sectors. The public sector funded by the Federal Transit Administration (FTA) is a huge portion of the midsize bus industry. There has been a tremendous amount of manufacturer consolidation in the midsize vehicle industry, and some consolidation of distributors, and it has helped our products. Manufacturing companies now have more resources, and thus are consistently building vehicles of a higher quality. Davey: I would say that customer expectations have shifted. They expect variety and options, not just with manufacturers, but also with options for purchase, lease, and rent. Listening to their needs has never been more important because they are well-acquainted with what they need and have an expectation for us to deliver. Schetky: The state of the small and midsize market is beginning to look better. During the economic downturn, manufacturers recognized the lack of transit agency funding, and began marketing low-cost buses that were not designed for transit-use as a comparable product. These buses are referred to as Bid-Buses, in that they are priced the lowest and can win bids that only take lowest-cost into consideration for award. What was discovered, though, was that these Bid-Buses were not built to withstand the rigors of transit use. For church use, where the bus might be driven two-thousand miles per year, these buses can occasionally work, but not for transit. As everyone knows, the true cost of a vehicle is called its Total Cost of Ownership. This is a “buzz phrase” that has been repeated millions of times, but its familiarity shouldn’t cheapen its impact. It is a very important concept. At transit agencies, what was recognized, and reinforced by fleet management software, was that Bid-Buses did not last as long as previous buses. They actually ended up costing the agencies more money and downtime during their usable lives. In short, their Total Cost of Ownership was higher. As a result, and after a few years compiling data, we are seeing a strong reaction against Bid-Buses and a heightened emphasis on other products that promote quality and reliability. Bid-Buses are still out there disguised as transit buses, but agencies now have data to assist in their decision-making processes and know what to look for and what to avoid. I believe this bodes well for the industry, because we are only as good as the products and services we provide. What has been the most recent significant development which affected the size or health of the specialty vehicle industry? Davey: There’s not any one thing. The industry is diversified with enough different manufacturers, which precludes there from being any one thing. 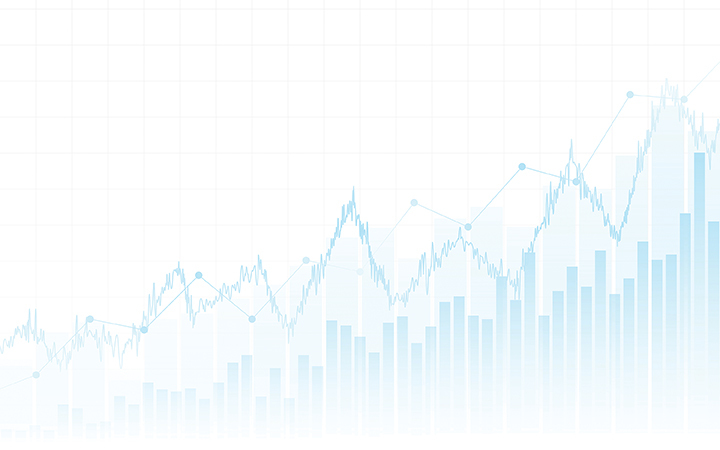 Backlogs are bigger than they’ve ever been, which speaks to the health and size of the industry. Schetky: One of the biggest developments from the perspective of the specialty vehicle industry has been the platforms in which small and midsize bus manufacturers can build upon. The Ford Transit chassis has opened the door for smaller, more nimble vehicles used for demand response applications. It has also reintroduced a diesel engine for light-duty use. Electric conversions are available and being purchased in states that provide grants and/or incentives for their implementation. Hotard: Consolidation is absolutely the biggest development in the mid-sized bus industry. As I said earlier, the manufacturers are larger, able to produce more units, able to improve the manufacturing processes, have more capital for engineering resources, and are investing more in assembly lines and the manufacturing process. Where do you see the biggest growth opportunities for operators using specialty vehicles? Hotard: We are seeing many of our customers pursue contracts for public/private partnerships, such as school or university transportation. First is the convertible Sprinter, a vehicle from Europe with a unique executive transport feel. It offers a great 360-degree view, with a convertible top for any kind of weather. Limousine customers, tour customers, resorts and hotels are considering these vehicles to set themselves apart from their competition. The 40-foot, low-floor transit bus has been the staple of many urban agencies across the country, but we are finding more of these agencies are looking for smaller, more fuel efficient, more maneuverable vehicles, but they still want it to be a heavy-duty bus. The Grande West Vicinity bus [in Canada] allows them to reach more into the smaller routes, feeder routes or routes that may not otherwise be possible to accommodate if not for a more maneuverable heavy-duty bus. Thus, we are seeing an increase in 30-foot buses in our market. Finally, more of our manufacturers have been offering a larger capacity midsize bus, something that’s in that 35-, 40-, 45-passenger capacity that is probably half the cost of an intercity motorcoach. These are going to for-hire, limousine and charter customers. Schetky: Connected buses provide growth opportunities for operators in that they improve the experience for customers and provide valuable information to increase the efficiency of operations. Passengers can check the status of their ride in real-time on their phone and track its location/progress when a vehicle is en route. Technology has trained people to expect information to be available to them with a few clicks and connected bus applications provide this. Fleet managers receive valuable data on vehicles and can better plan for preventive maintenance with alerts and notifications. Underperforming vehicles can be flagged when fuel economy no longer falls within the ideal range. The possibilities are endless, and the need for manually inputting information is lessened with automated data collection and reporting. Allowing passengers to better utilize their personal time to plan for transportation, and fleets to lower operational costs and improve the performance of the vehicle, provides a landscape for operators to grow. Davey: Operators will find a niche that serves the areas they operate. For example, if you operate in Northern California, you’ll likely do a lot of wine tours. Operators near big cities, such as New York or Los Angeles will do sight-seeing tours. Another big opportunity is non-emergency medical transportation, which is one to observe, going forward. As our communities age, there are more and more services surrounding that segment of passengers, and it continues to grow. How have new vehicle designs and technological advancements affected the specialty market? Are these new vehicles affecting new business development for the operators purchasing them? Schetky: New vehicle designs are always being discussed and are driven by the demands of the fleet operators. One example is the modernization of low-floor cutaway buses. Low-floor buses allow all passengers, both wheelchair and ambulatory, to enter through the front entry door using an ADA ramp. Low-floor cutaway buses have been around for a while, starting with the ELF in the 1990s. When low-floor buses were reintroduced years later, they were a bit awkward in their configuration. Building a low-floor bus presents obstacles. The floor structure needs to be low enough in the front of the bus for a ramp to meet ADA’s required rise over run, but high enough in the back of the bus to clear the rear axle. So, when low-floor buses were reintroduced, the initial design used a sloped floor to clear the rear axle. That meant, in the interior of the bus the entire floor sloped downward from the rear of the bus to the front. Our opinion has always been that this just isn’t a practical design for a public-use bus, and that the sloped floor provided too many potential issues for passengers and operators. We just can’t get behind the idea of seating wheelchair passengers on a slope. Shortly thereafter, Champion Bus decided to develop their own low-floor bus and reached out to agencies to determine how this new product ought to be developed. It was determined that a floor that is level throughout with a short ramp to get over the rise of the rear axle was the ideal floor plan. The level floor Champion design is what transit agencies were accustomed to with their heavy-duty transit buses. It was a tried and true design, but brand new for a light-duty bus manufacturer. Also, wheelchair passengers would not be seated on a slope, they would be seated on a flat, level surface, which alleviated many concerns. The input that the fleet operators provided allowed the Champion LF to be built without the pitfalls of previous products, and this collaboration is a prime example of how customer demand for products and improvements drive the innovation of new products. Davey: We’ve seen a shift toward better fuel economy in new lightweight chassis models. In the past, lightweight models restrict the number of passengers because the engine is also smaller. The technological pursuit of better fuel economy makes weighing the pros and cons a challenge for operators. Hotard: As far as new business, I think of factors like the smaller transit bus I mentioned earlier which is bringing new riders into the industry that would not have existed beforehand. The convertible Sprinter, as well, is especially attractive to a millennial customer who may not have taken a bus trip before.